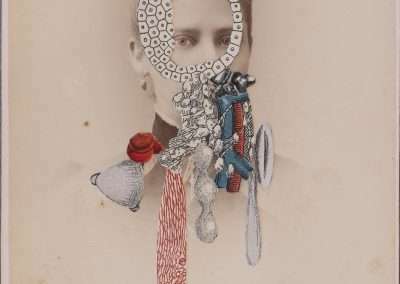 Richard Levy Gallery is pleased to present For-Get-Me-Not, a series of collages by Valerie Roybal. 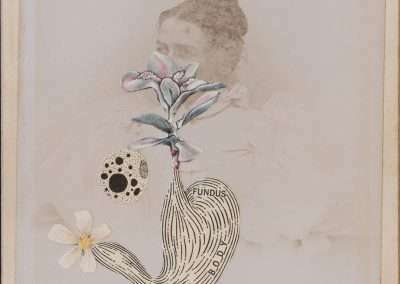 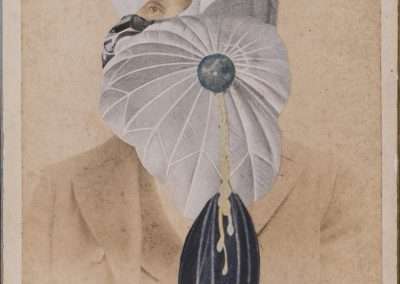 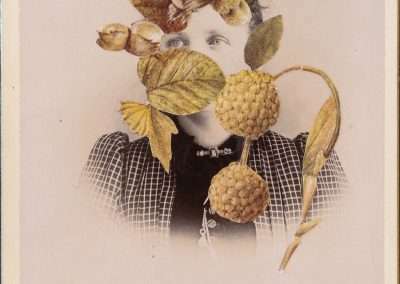 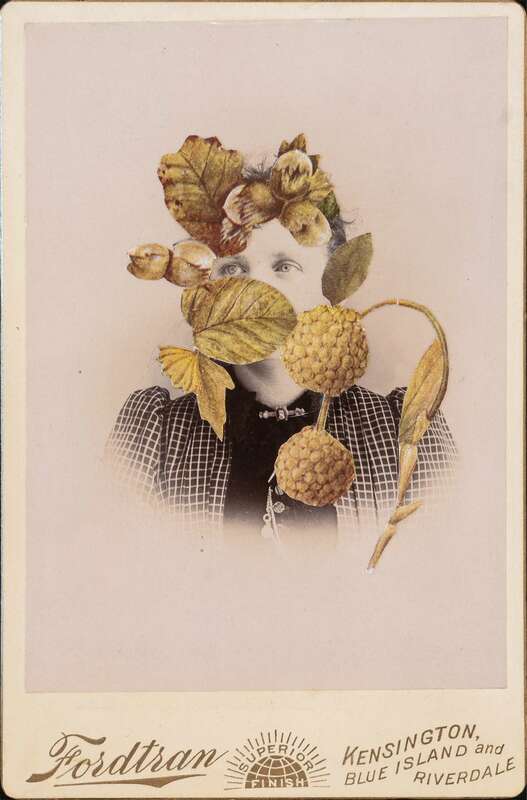 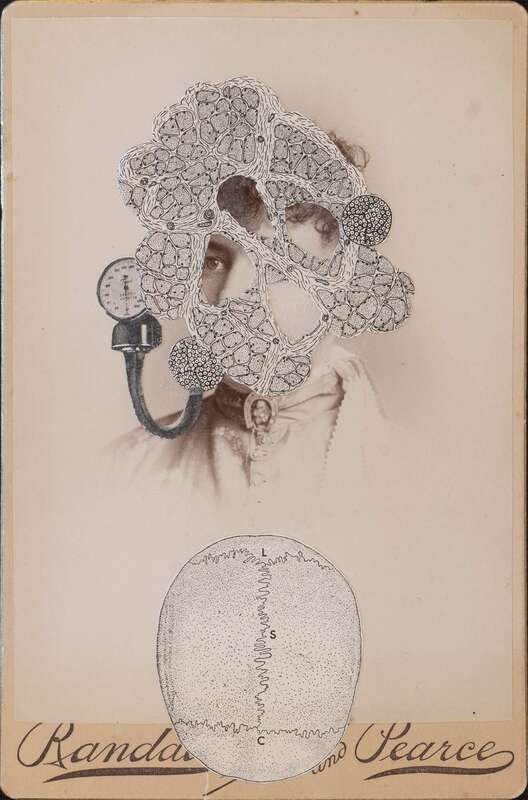 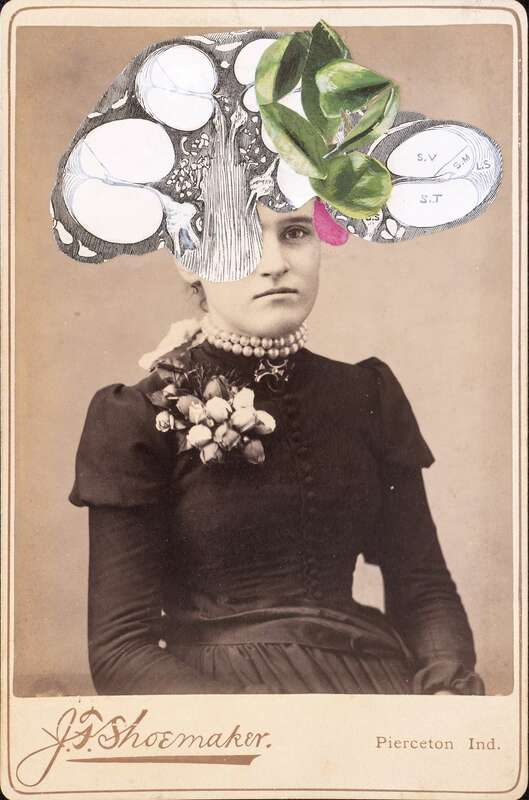 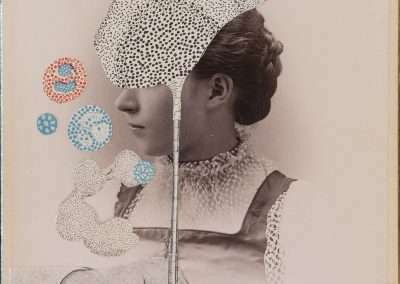 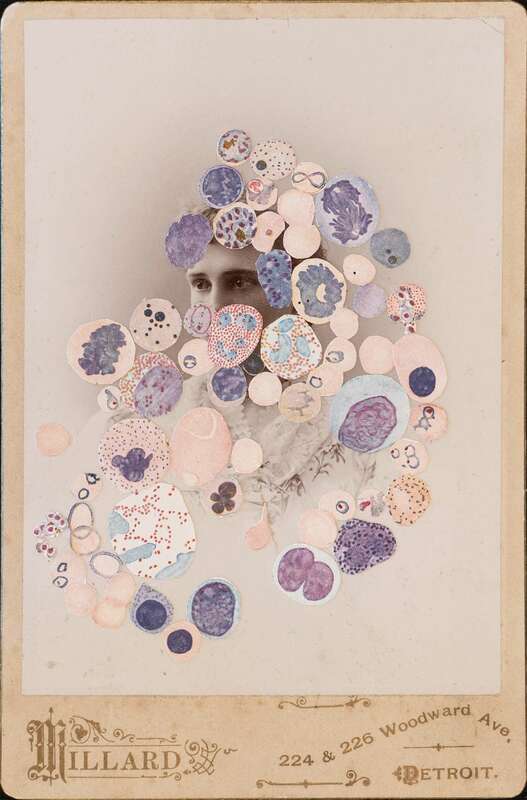 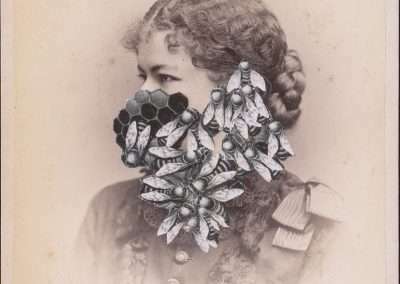 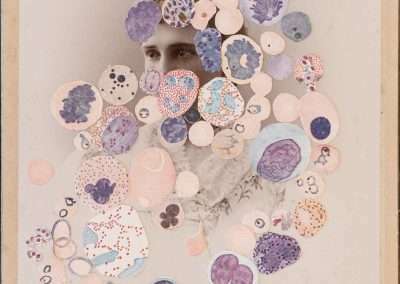 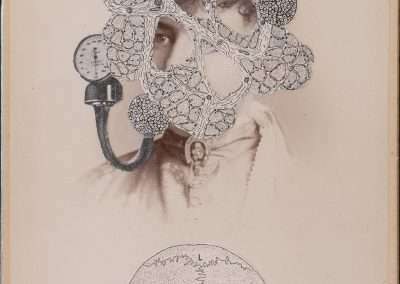 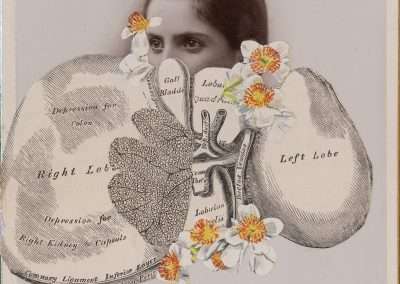 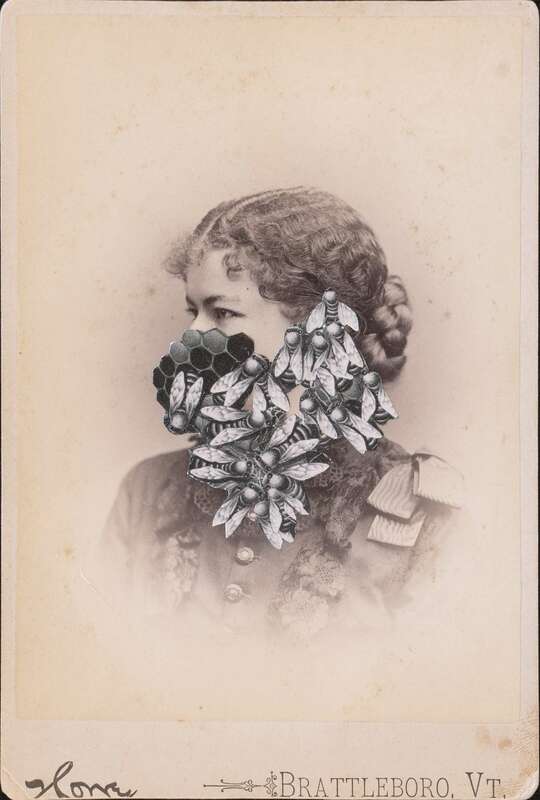 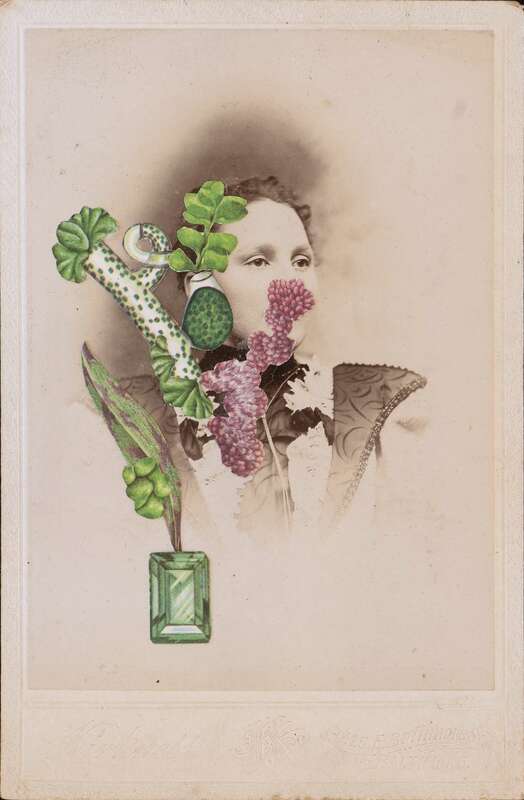 Valerie Roybal collaged vintage illustrations of anatomy, plants and flowers onto found antique portraits, making the subject appear to be wearing the organic matter as part of their visage. 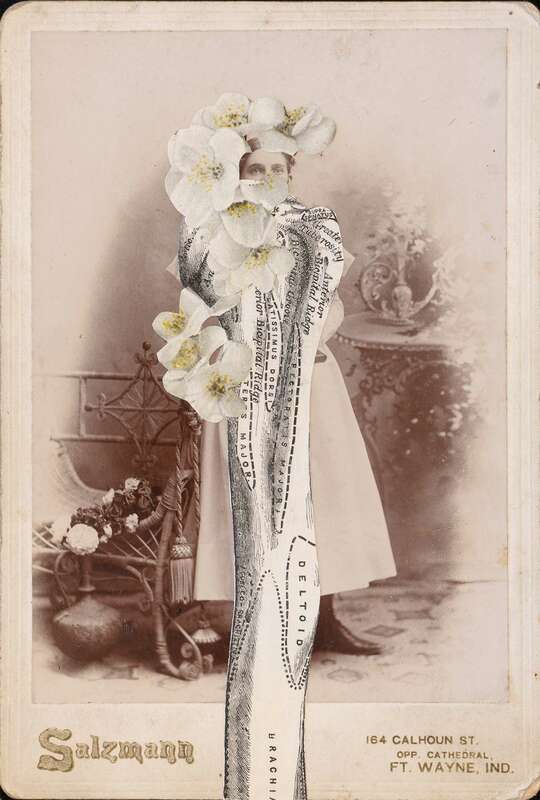 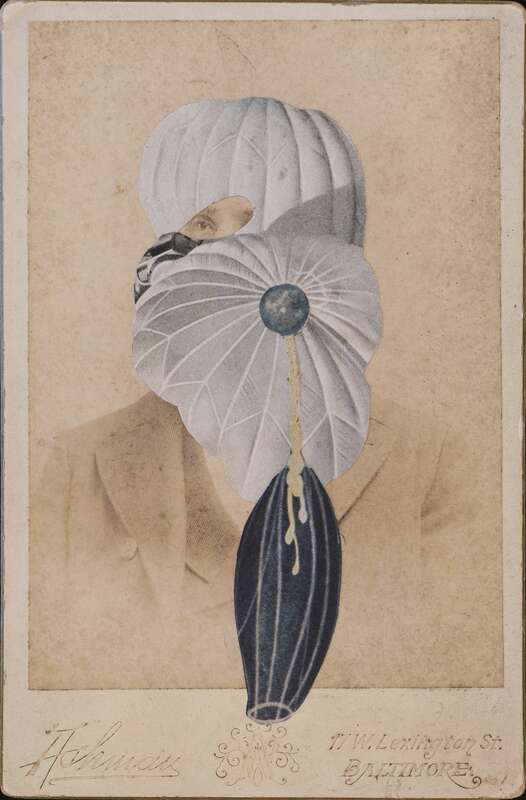 For-Get-Me-Not consists of works made from found cabinet cards and cartes-de-visite that were collaged and painted on by Roybal and an accompanying book. 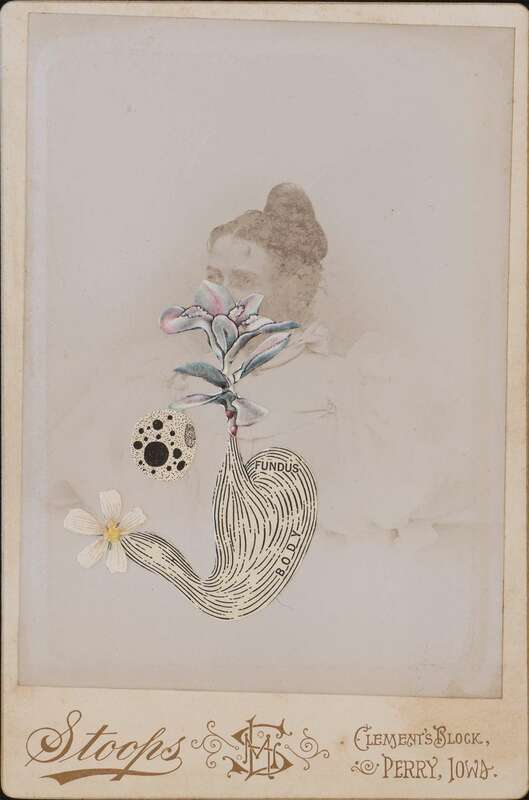 Each of Roybal’s additions is a beautiful and mysterious visual expression of her experience living with an invisible incurable disease. 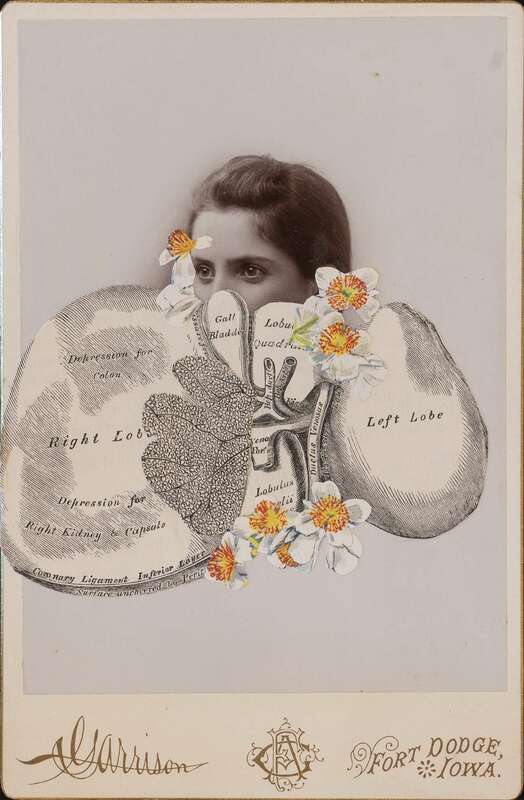 Roybal received a Fulcrum Fund to produce the book, For-Get-Me-Not:Words and Images on Living with Incurable Cancer, to raise awareness about this disease. 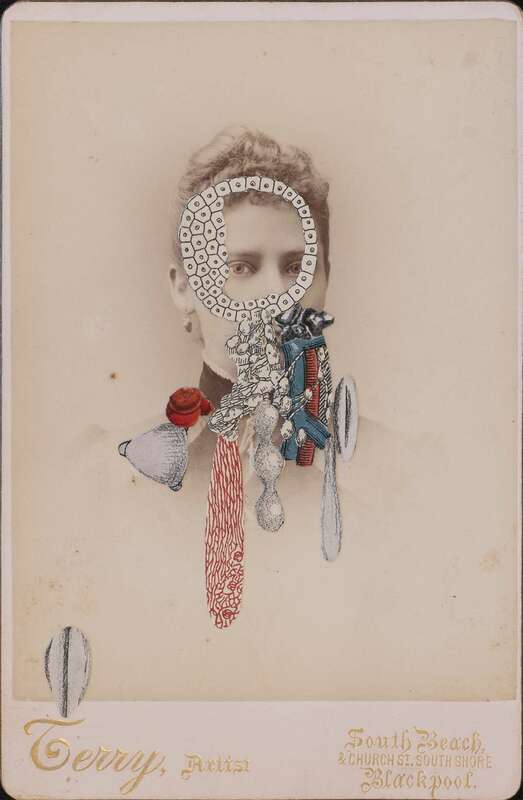 Selections from this project were recently acquired by the Albuquerque Museum. 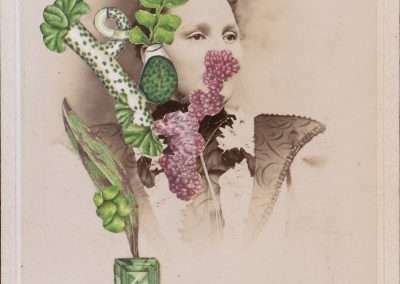 Roybal passed away in late 2018 after living with stage IV metastatic breast cancer for more than seven years. 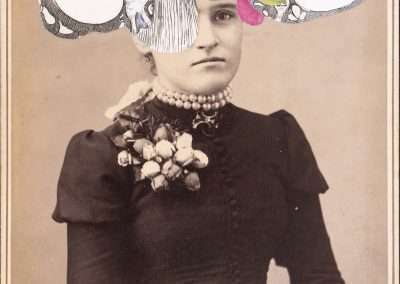 The gallery reception on May 3rd includes a book signing with artist Isa Leshko for her new monograph Allowed to Grow Old and debut for the For-Get-Me-Not benefit honoring late artist Valerie Roybal including the book release for this project. 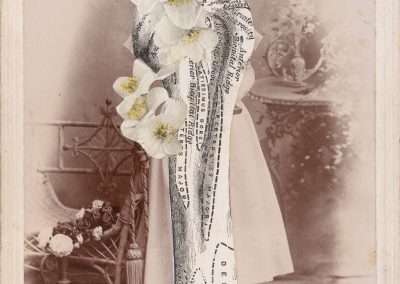 All proceeds from For-Get-Me-Not support Living Beyond Breast Cancer’s Metastatic Programs. 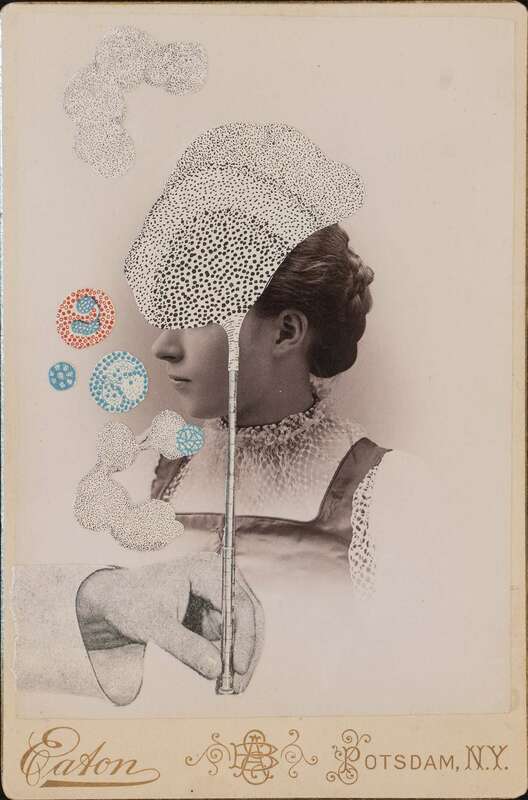 Artworks from this benefit are available for purchase online.